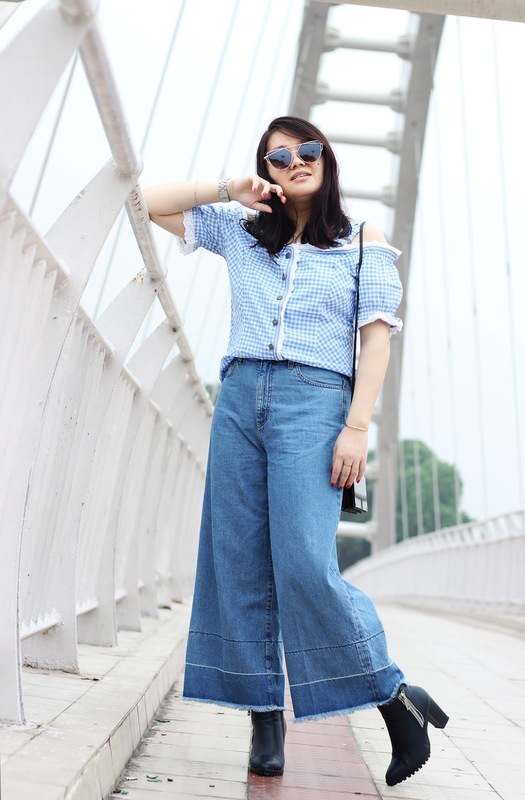 My favorite jeans on repeat in this blue-on-blue-on-blue outfit..yay!!! Wish y'all a wonderful weekend. Till next time, bye. Such a cool jeans! You look great! Those are some great jeans! Love the blue! Such a cute blouse! And very stylish sunglasses! Love this blue style, pretty elegant! You are so cute! I love your eyeswear ! Love your outfit hun! You look stunning! You look fabulous in this outfit! 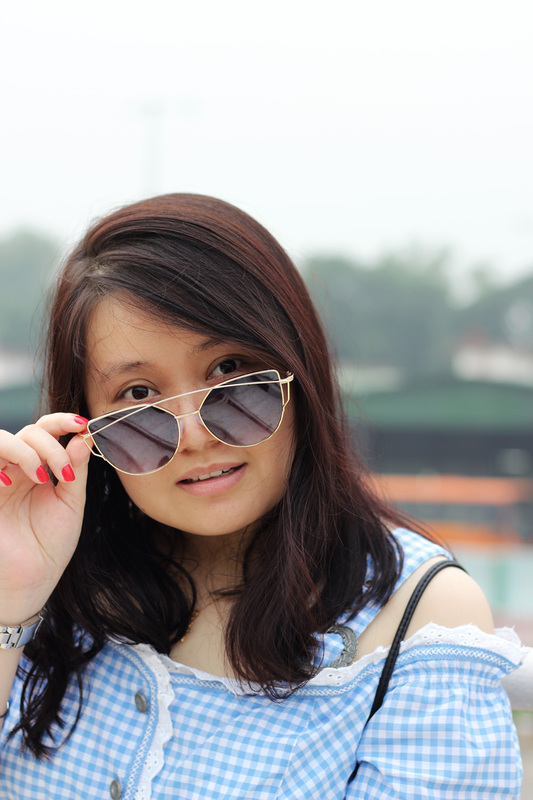 I love your sunnies! I adore gingham it's one of my favourite prints! And those jeans do look amazing on you! Loooove that denim! Great outfit! Super cute outfit as always. I'm in love with your top!! I need to find one like this. Been on the hunt for weeks...Love the jeans also!! Hope you're having a great weekend. Love the blue on blue, and your sunglasses are absolutely the best! The color is so pretty and those jeans are so edgy! LOVE! Wow, I love the sunglasses. Great look!! 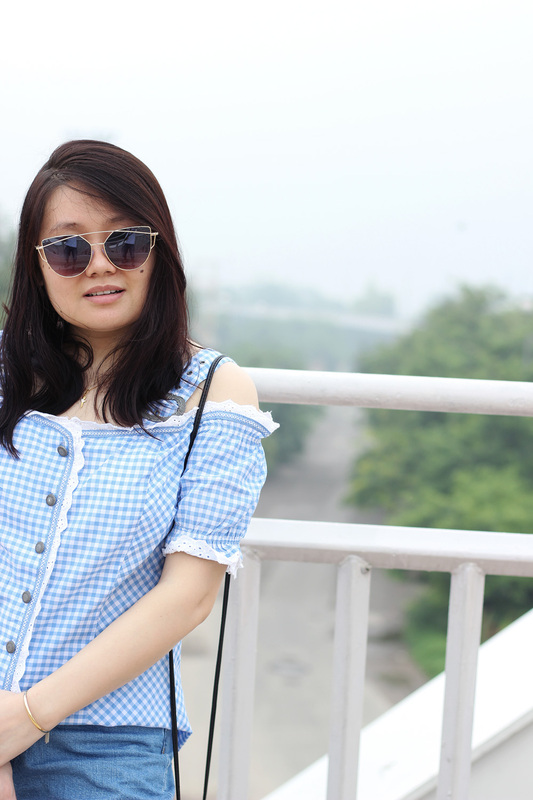 Very nice gingham top, it matches well with the jeans. Love this print on you. All blue looks amazing on you, loving your jeans babe!!! Yeah it is great when have an item you can style so many different ways that is what is so great about jeans. And I can see why you like these so much. Wonderful gingham top, Eva! I love those strap details. reminds me of Wizard of Oz a bit- but a lot edgier. Perfect outfit!The shirt is super cute!! !